Montblanc wallet in full-grain cowhide. Silvertone emblem a upper corner. dunhill wallet in grained calfskin leather, from the Cadogan Collection. Silvertone longtail logo stamp at front corner. Bill compartment; two slip pockets; eight card slots. 3.8"H x 4.5"W x 0.5"D. Made in Italy. 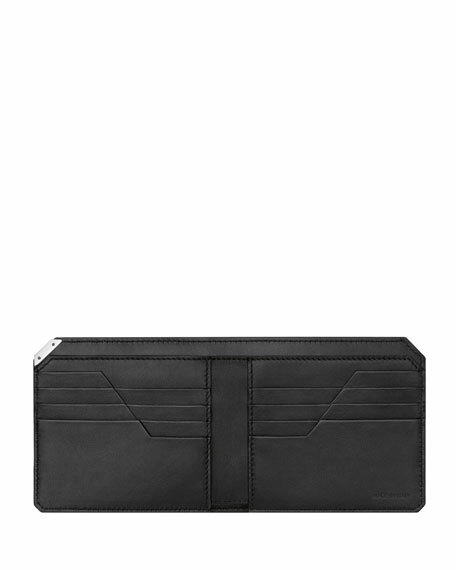 Saint Laurent wallet in pebbled calf leather. Flap top with foiled logo. Hidden snap closure. Inside, zip compartment divides center. 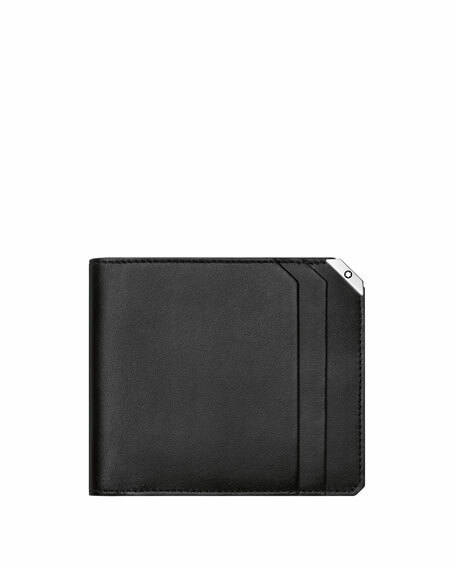 Saint Laurent wallet in pebbled calf leather. Flap top with foiled logo. Hidden snap closure. Inside, zip compartment divides center. Multiple card slots. Made in Italy.